The King County Workers’ Climate Caucus recognizes the urgent threats of climate change and its disproportionate impact on workers and communities of color. We strive to create an open, worker-centric dialogue about climate justice, respecting the many and varied needs of affected communities. This informational newsletter discusses climate change, its ramifications, uncertainties, and the steps you can take to fight back. 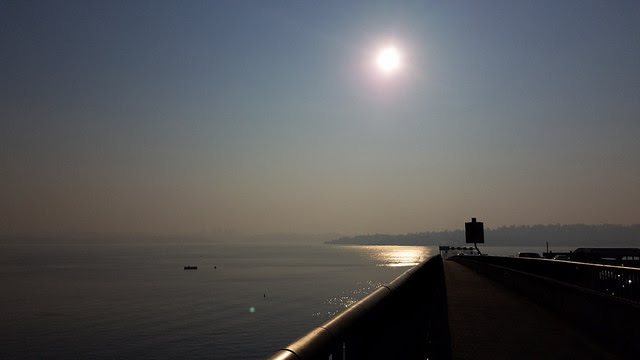 Smoke from Canadian wildfires choked the air in Whatcom County on July 31, the day Honesto Silva Ibarra collapsed at a Bellingham clinic after working in the blueberry fields at Sarbanand Farms in Sumas. A week later, he died at Harborview Medical Center. In the middle of a heat wave, a supervisor allegedly ignored his complaints of headaches, denied him medical attention, and refused to let him return to his cabin. Ibarra wasn’t the only guest worker on the farm to experience potentially heat-related illnesses. Several other workers reported suffering severe dehydration, with symptoms including facial paralysis and extreme migraines. The Washington Department of Labor and Industries is investigating Ibarra’s death, but there will be no autopsy to definitively determine cause of death. The workers say heat and mistreatment killed him, and the company denies both charges. Washington’s weather may have cooled as fall returned to the Pacific Northwest, but wildfires raged over the last month in California’s Napa Valley, an agricultural center famous for wine production. While climate change seems most visible in the rampant wildfires, crippling droughts, powerful storms, and other large-scale catastrophes, we shouldn’t overlook the everyday dangers climate change poses to human health and safety. The conditions at Sarbanand Farms remind us that hotter, longer summers come with a host of less-obvious threats to worker health and safety. Extreme heat can bring with it an 8 percent increase in calls to emergency medical services and a 10 percent increase in overall mortality. This includes deaths from heat stroke and cardiovascular disease as well as hospitalizations for heat-related illnesses including kidney problems and an irregular heartbeat. Less obviously, climate change can worsen allergies. As the growing season lengthens and temperatures warm, some plants produce more pollen for longer periods, aggravating allergy symptoms and asthma. These shifts could also increase the spread of influenza and widen the ranges of insect-borne diseases such as West Nile Virus and Zika. While climate change has worsened many everyday hazards workers face on the job, there are things that can be done to ensure worker safety. Being aware of these climate change-related risks is just the first step. Through our unions, we have the power to act collectively to push for stronger workplace protections to mitigate the dangers of our changing climate. 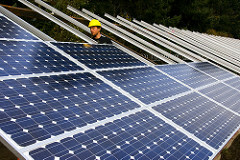 Building off of our Washington State Labor Council resolution for a just transition to clean energy, last week delegates at the national AFL-CIO convention passed “Resolution 55: Climate Change, Energy, and Union Jobs.” Read the resolution here. Message of Support for “Seattle Stands with our Muslim Neighbors” Get Involved!